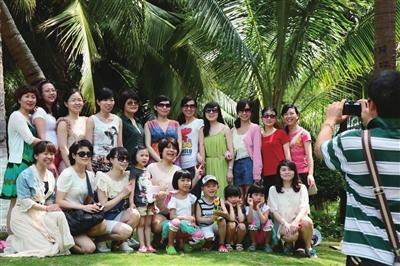 On the occasion of the annual International Women’s Day, many tourist attractions in Sanya saw flocks of ladies tourists celebrating their special holiday. Among the city’s popular attractions, Yanuoda Rainforest Park saw 7,000 daily tourists on Women’s Day, of which non-island female tourists accounted for 60%. Since March, the daily number of tourist arrival to Nanshan Cultural Tourism Zone reached 15,000, with female visitors accounting for 40%. According to tour operators, female visitors are emerging as a main force for spring tourism as most of them are planning their holidays outside.